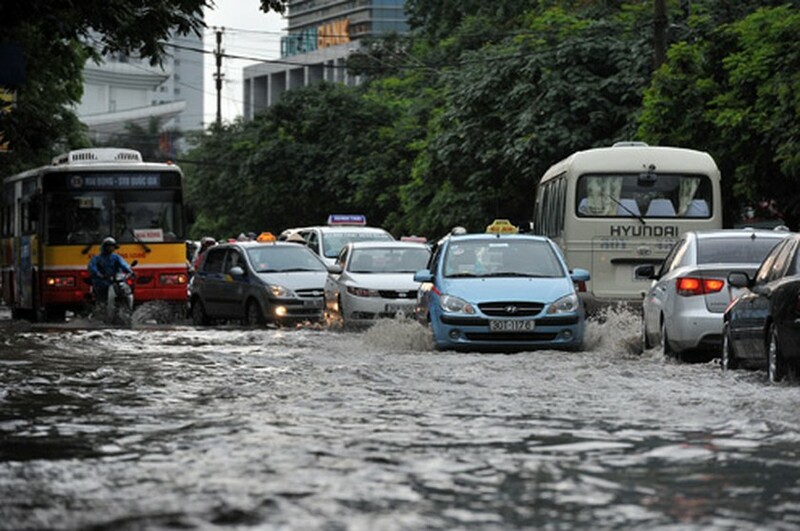 One-hour long downpour hit Hanoi on May 15 leading to flooding and traffic jams in many parts of the capital. Many main roads Lang ha, Thai Thinh, Thai Ha, Tay Son were flooded over 30 meter even some in half of one meter under water, causing massive traffic jams in streets Lang Ha and Le Van Luong. Although it rained in one hour, flood took place because many digging road works have been conducted in streets in Hanoi. In related news, Luu Minh Hai, deputy director of the Lao Cai Province Hydro Meteorological Forecast Center, said the district Bac Ha saw a whirlwind was generating winds of up to 65kph and gusts beyond force 8. The whirlwind devastated three households and Hoang Thu Pho junior school, and some hectares of rice, vegetables and blew up many roofs of houses in communes Bao Nhai, Hoang Thu Pho. 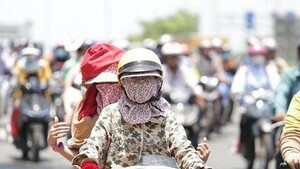 The whirlwind has affected seriously to residents’ lives as farmers there are harvesting Tam Hoa plum. The government in hailstone-hit localities sent emergency crews to help victims overcome the disaster and provided support to farmers who lost in the whirwind.